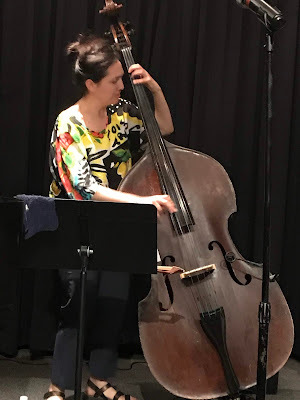 I try to attend as many of the Jazz dates at Pete Carlson's Golf and Tennis Store as I can because I have never been disappointed in the high quality of the musicians that perform live for these events. The Ken Peplowski Quartet that performed on February 18, 2019 was certainly one of the best groups I have heard in the "Jazz for Jazz Lovers" series. First, the group was made up of seasoned Jazz veterans, Ken Peplowski and special guest Ron Stout who were joined by some younger but spectacularly talented professional musicians, Josh Nelson on Piano, Katie Thiroux on Bass and Matt Witek on Drums. For tonight's performance, Ken Peplowski picked some traditional Jazz tunes along with several songs from the "Great American Songbook". 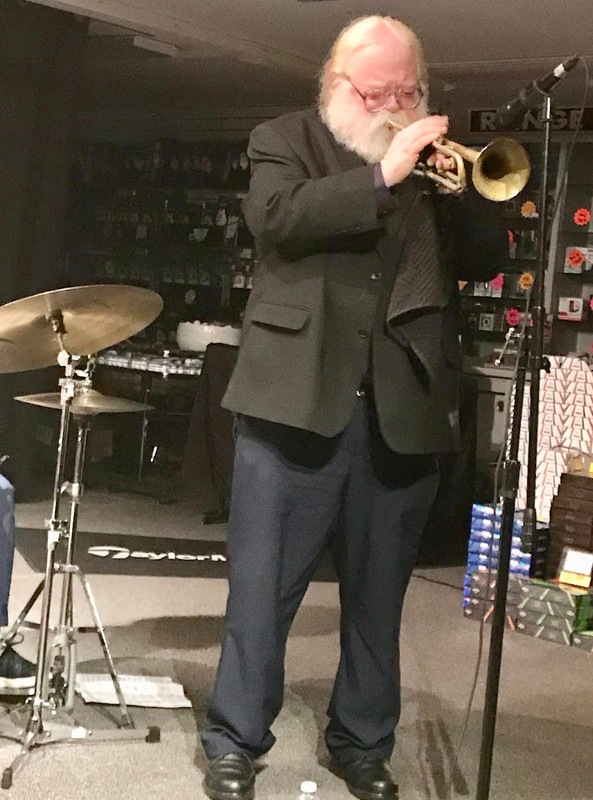 Ken Peplowski is a giant in the Jazz world and for good reason. He is certainly one of the best Jazz Clarinet players performing today. Also, at Monday's performance, he proved he is one of the best Jazz Tenor Sax players also. You don't hear many Clarinet players these days but listening to Ken's warm tones was so wonderful that you had to be thinking, we need to hear more Clarinet sounds in the Jazz world. I know this is what I was thinking! Ken's improvising is just about perfect, it's creative, spontaneous, soft and simply beautiful! Ken put together some suburb younger musicians in his Quartet, and he made sure that each member of his group had their time to shine. And shine they did starting with the remarkably talented Josh Nelson on Piano. I have had the pleasure of seeing Josh play several times in different venues and as good as he is, he seems to get even better each time I see him. Josh also makes an effort to help younger musicians by supporting them on live performances and on CD's. I see his name on many of the new CD's I review every month. Matt Witek was on Drums tonight. 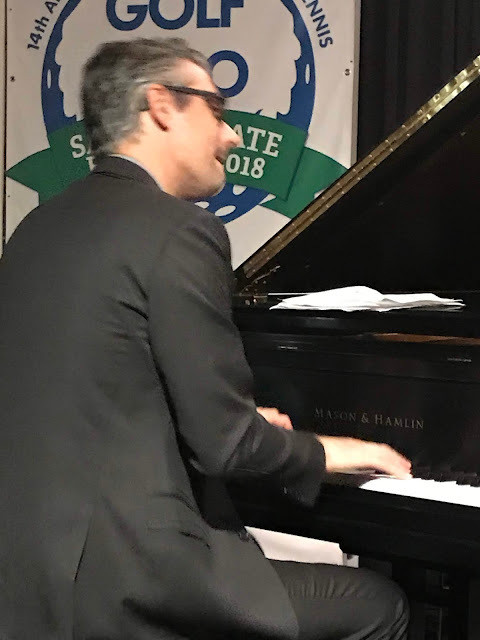 I had never heard Matt play before but shortly after he started playing, any listener would realize he is a special player. Too many of today's Drummers think that loud is the only way to stand out. What a pleasure to hear a Drummer that works with sounds and understands the purpose and use of brushes. Matt used his hands several times to produce some great support for the group which was very enjoyable. In addition, the percussion section of Katie and Matt were perfect together. Veteran Trumpeter Ron Stout was an announced special guest tonight, and he was indeed very special. I have heard Ron play many times and he is a treat. No drama here. Ron can solo anytime he is called; he understands Ballads and he never overshadows the other players in the band. If I had a band, Ron Stout would be the Trumpeter I would want to join me! 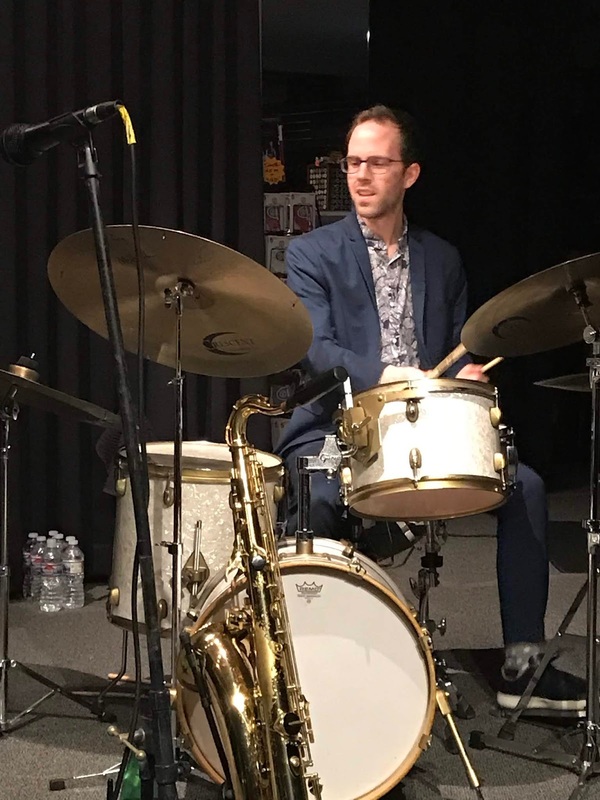 If you are in the Palm Springs area, Pete Carlson's is the best place for live Jazz with music events every week throughout the winter season. 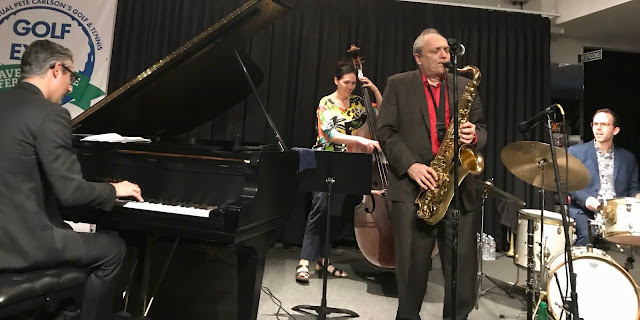 I have attached a live video of the Ken Peplowski Quartet playing "I Wish You Love". The Southern California area is blessed to be the home of some of the most talented singers in the country. And at the top of the list of outstanding vocalists you will find Trish Hatley's name. Trish has the ability to sing standards as good as anyone I have heard, and she also can sing popular tunes just a well. Trish is currently performing every Tuesday, Wednesday and Thursday from 4:00 PM to 6:00PM at Michael Holmes' Purple Room in Palm Springs, California. 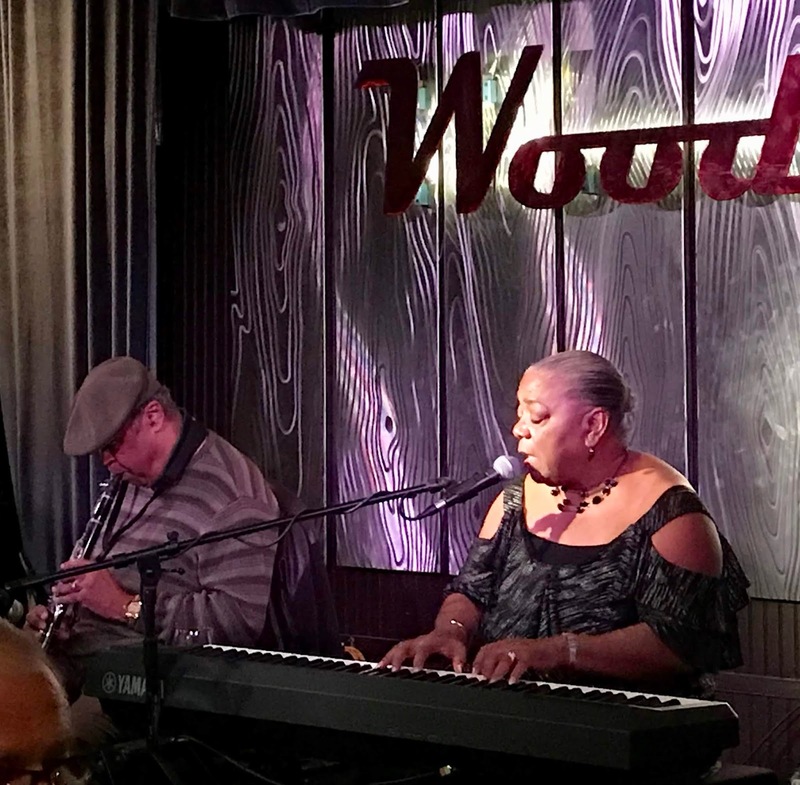 Trish is joined by Mark Kahny on Piano and Vocals. The results of putting these two superstars together is some great duets of classic American songs. 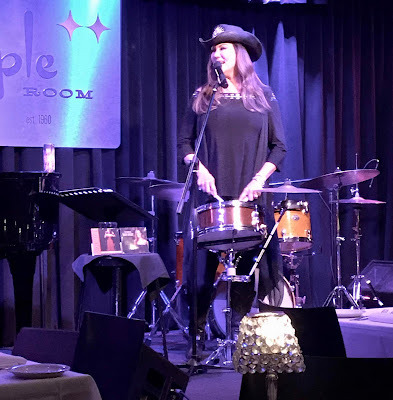 Trish Hatley has one of the purest and clear voices you will ever hear and she has recorded some of the best songs in the "Great American songbook". Her sense of lyric is perfect as is her feel for musical phrasing. If you love to listen to standards, you will just love Trish. 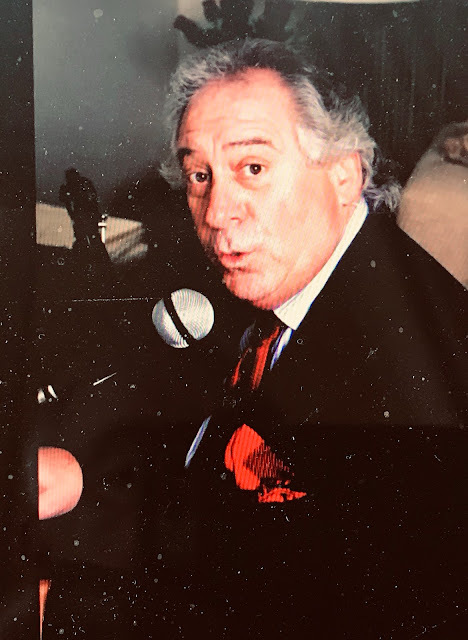 Vocalist and Piano master Mark Kahny is sought after by many singers here in the Coachella Valley because as an experienced singer himself, he understands the need to give singers room and at the same time knows when to fill when they need it. He is a Pro in all aspects of performing. When he does duets with Trish he has no trouble keeping up to her vocally and that's no easy task considering Trish's strong clear voice. They make wonderful music together, and I guarantee you will enjoy every minute of their performance. 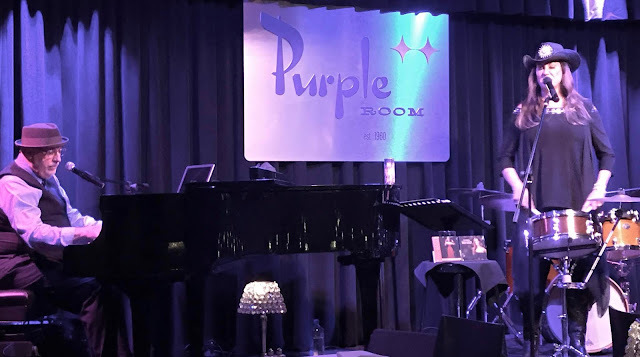 The Purple Room, former home to the Sinatra "Rat Pack", is the perfect setting to enjoy hearing Trish and Mark sing the standards that made Sinatra a legend! I was not able to get a clear recording of Trish and Mark performing but I did find a "YouTube" of Trish singing "Shiny Stockings" from fabulous Standards CD "Trish Hatley, I Remember". I also found a "YouTube" of Mark playing and singing at his home, the Billy Joel classic, "Piano Man". 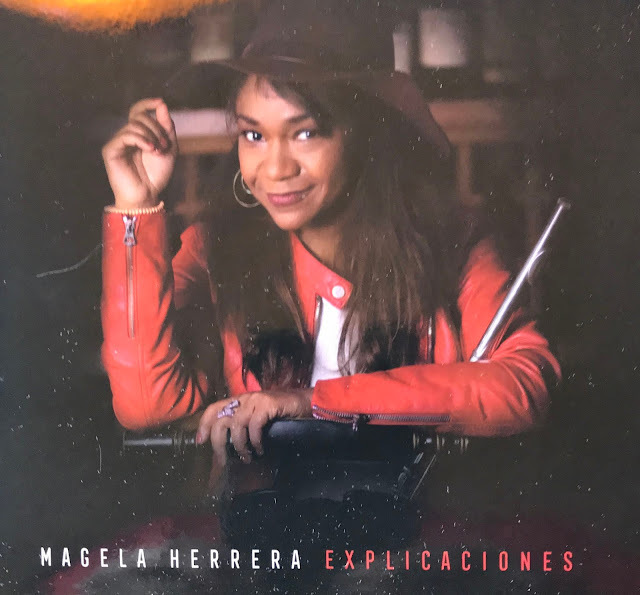 I know you will enjoy both of these great musicians!